Richard Hewett is Lecturer in Media Theory at the University of Salford's School of Arts and Media, where he leads the modules Media Texts, Television Genres and British TV Fictions on the BA (Hons) Television and Radio degree. He has previously lectured at the University of Nottingham, Royal Holloway, University of London, and the London College of Communication, UAL. He has also supervised dissertations on sitcom and television drama, and lectured on the International Broadcasting MA at Royal Holloway. Richard completed his PhD, Acting for Auntie: From Studio Realism to Location Realism in BBC Television Drama, 1953-2008, at the University of Nottingham in 2012. This examined changes in small screen performance from the live era to the present day. In particular, his work examines the influence of production (the move from multi-camera studio to single camera location work) and changes in drama training. His first book, The Changing Spaces of Television Acting, was published by Manchester University Press in 2017. 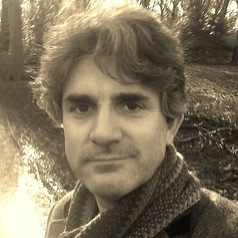 Richard has contributed articles to The Journal of British Cinema and Television, Critical Studies in Television, The Historical Journal of Film, Radio and Television, and Adaptation, and is also a regular blogger for cstonline.tv. He would be interested in supervising PhDs on television history and aesthetics, and screen performance.